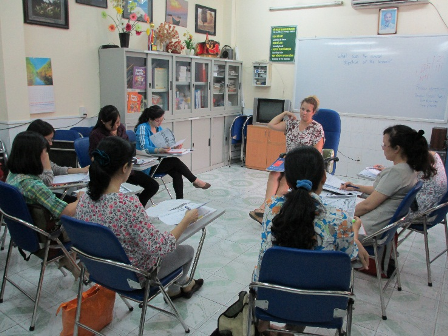 “Everyone, it’s Friday” – The familiar message in Thang Long School teachers’ chatting group makes us so excited every weekend, it is not because of the normal TGIF as others but the upcoming weekly training of foreign teachers to us. It is not easy being a teacher, every teaching method has its own drawbacks, each class need its own managing style and each student need a different way of sharing and supporting. That’s the reason why being a teacher is not easy, especially to keep being inspiration for students in every lecture, we have to practice days by days to develop our capacity. And “Friday” becomes one of the important key to our success in teaching path – the opportunity for us to gain valuable experience through interesting sharing and effective teaching method. One of the most helpful things we gained is the tips to work with children in different cases and situations. 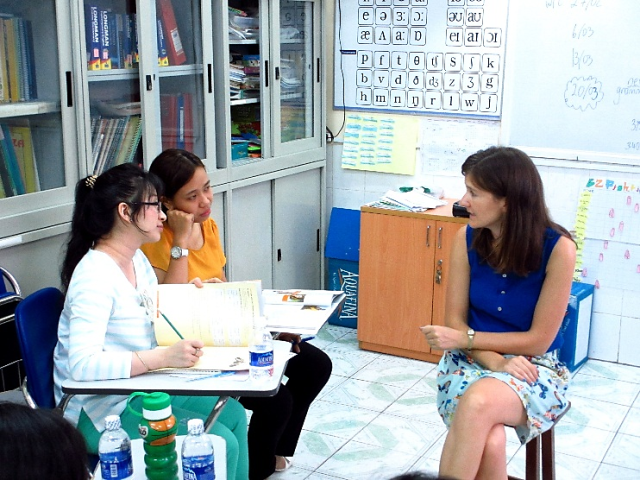 Trainers – who are experienced teachers abroad – gave us the both the inspiration and the methods to apply to our jobs directly. We, especially, appreciate lessons related to children’s psychology and how to adjust our manner to fit it. To achieve such great success, all volunteers who are professors, lecturers and teachers from professional teaching environment have devoted in a long time. We share the same passion to work with children. Though there are many problems but trainers always listen to us and suggest practical solutions or advice. The weekend becomes so exciting and helpful with training and sharing sessions. 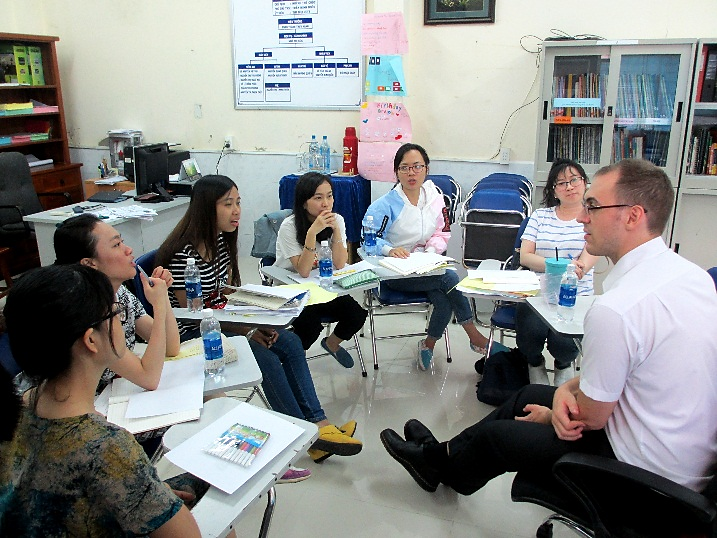 On behalf of Thang Long School Teachers, I would express my deepest thanks to Ms. Jessica (ILA), Ms. Claire (British Council), Ms. Laurent (British Council), Mr. Nick (British Council), Mr. Joe (RMIT) and other enthusiastic trainers who keep supporting us to continue this path. That’s how we long for the ‘Friday’ full of smile and delightful activities. We appreciate every moments being a teacher and working with passion to bring a brighter future to children.